The hardest working appliance in your home deserves some love every once in a while. As one of the most hardworking appliances in any home, the fridge can also become one your dirtiest. 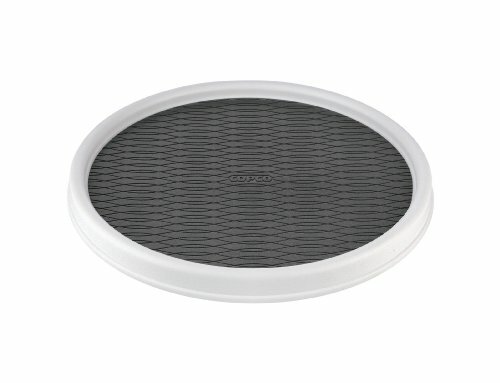 It is susceptible to spills, odors, and a variety of messes that can leave it in a state of chaos. So every couple of months, I make it a point to completely clean out my fridge and give it a good ol' scrub a dub! Check out the before pictures of my fridge before I cleaned it out. What a mess! Disclaimer: Some of the links provided are affiliate links and I may receive a small commission if you chose to purchase. However, all of the products I have highlighted below were selected for their design and represent styles that I look to bring into my own home. Empty out EVERYTHING - I mean everything! It is so much easier to clean while you have everything out of the space. This allows you to see all of the messes and also lets you not only see what you have but also what you don't. Toss anything that is old or expired - I make it a point to check the expiration date on every item when I clean out our fridge to make sure that I only put back what I am actually able to use. When I was cleaning out the fridge for this post I ended up with 3 grocery bags of expired and old food that was just collecting dust in my fridge. Scrub down all surfaces - don't forget the walls of the fridge too! You guys know that I am a huge fan of Mrs. Meyers cleaning products because it allows me to clean without using any harsh chemicals. Especially in a place where I store my food! I just used the Mrs. Meyers multi-surface cleaner and it did the trick beautifully! Now you are ready to begin putting your food back in the refrigerator! An important step in keeping your fridge clean after you have scrubbed it from top to bottom is to keep it organized. Not only will this save you money because you will be able to clearly see what you have but also ensure that you are able to spot messes immediately, allowing you to tackle them as they occur. One of the ways that I keep my refrigerator organized is by using several organizational tools that help keep items in their place. 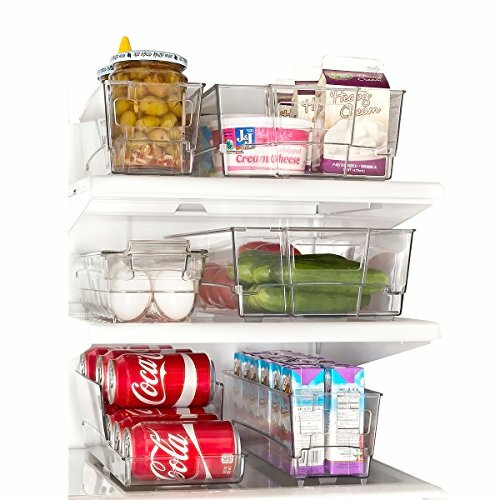 I had a hard time finding actual fridge organizers that were not crazy expensive, so the ones that I am using here are not necessarily meant to be used in the fridge but seem to be doing the trick. madesmart Classic Bin, White, 12 x 3"
I use two small lazy susans from Amazon to help keep all my condiments and sauces neatly in once place. They are great and really help me see what I have available whenever I am cooking or my husband is in search of his favorite condiment! Next, I purchased two, slim organizers that are actually drawer organizers. I like these because they have the rubber bottom so the items inside don't slide around. My husband is a big fan of the smaller cans of Coke or Dr. Pepper and these are the perfect size to keep these in one place. 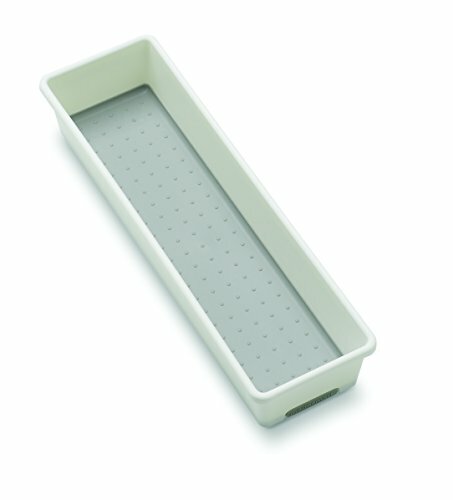 The only true fridge organizers in my fridge are these two larger trays. To be honest, the only reason that I actually have them is because they were really inexpensive at and That! I used the larger one for storing all of our dairy items like cheeses, sour cream, cream cheese, etc. The smaller one I keep in our larger drawer and that is where I keep any meat that I am defrosting along with any items that I buy in bulk, like extra butter and hummus. I like to keep the meats in a tray while defrosting to catch any liquid. I use this teal bin from the Dollar Tree to help corral all of our produce. I find that taking things out of the produce bag when putting things away from a grocery store trip is best because it allows me to see what I have whenever I am deciding what to make for dinner. Sometimes, if things are left in the bag I tend to find or remember them whenever it is too late and the item has already spoiled. 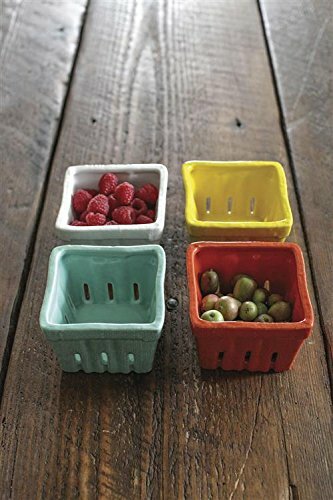 Lastly, I used these ceramic fruit bins from Home Goods to store washed veggies. There really is an endless possibility of items that you can use to help maintain your fridge organized. The point is that you don't necessarily have to have expensive items to do so. Get creative and use what best works for you and your family. Hope you enjoyed this post! 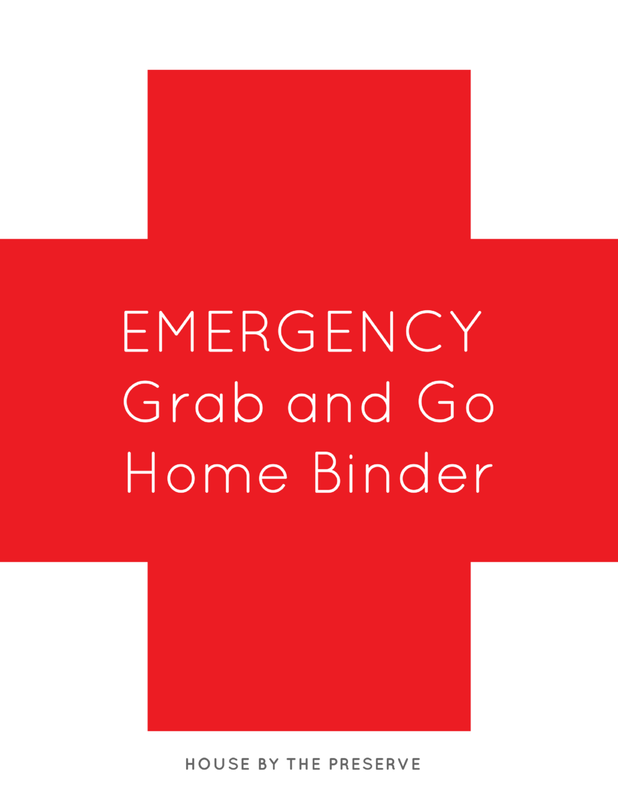 Leave me a comment below and let me know some of unexpected items that you use to get organized.